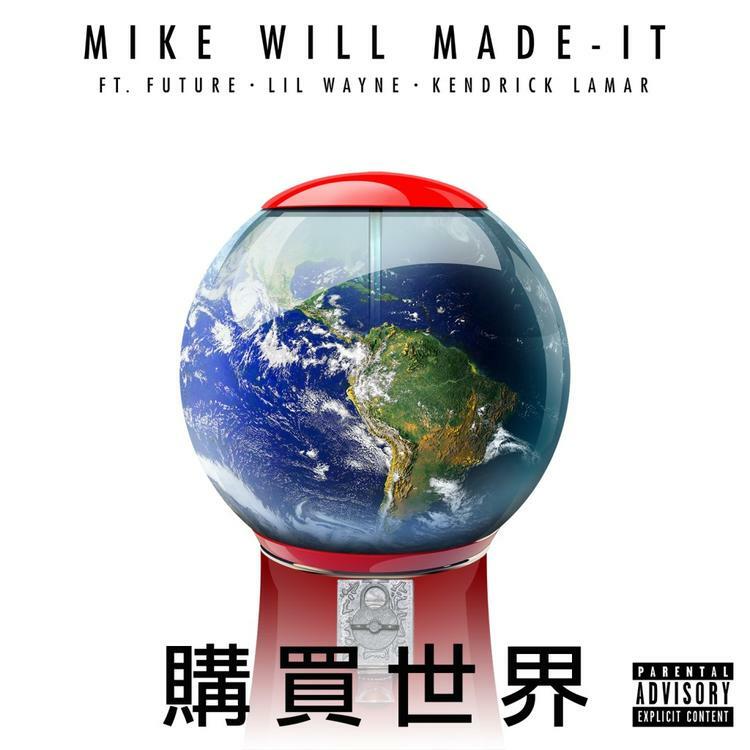 Listen to the full version of Mike WiLL Made It's "Buy The World" with Lil Wayne, Future and Kendrick Lamar. Before the weekend started we received a snippet of Mike WiLL Made It's new single "Buy The World" with a line-up consisting of Weezy F, Future and Kendrick Lamar. The full version has arrived a day, and it does not disappoint despite being the clean version (for now). Mike WiLL changes up production style for this one, going a more experimental different direction than the trap-pop "23" with Miley Cyrus, Juicy J and Wiz Khalifa. Does he have a hit on his hands? The producer's debut album Est. In 1989 Pt.3 is arriving soon.